• At 37 years of age, Chad is the youngest person ever to receive the CPAE award and be inducted into the National Speaker Hall of Fame. • Last year, Chad spoke at 220 different events, traveling just over 300,000 miles and speaking on five continents and in four countries. • Chad has shared his personal message and entertained many audiences from organizations such as Wells Fargo, Blue Cross Blue Shield, Ford, IHC, Coca-Cola, and the Utah Jazz. 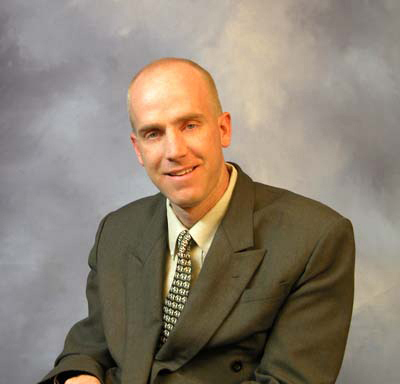 • He is a member of the National Speakers Association and is a CSP (certified speaking professional), a designation achieved by fewer than 8% in the speaking industry. 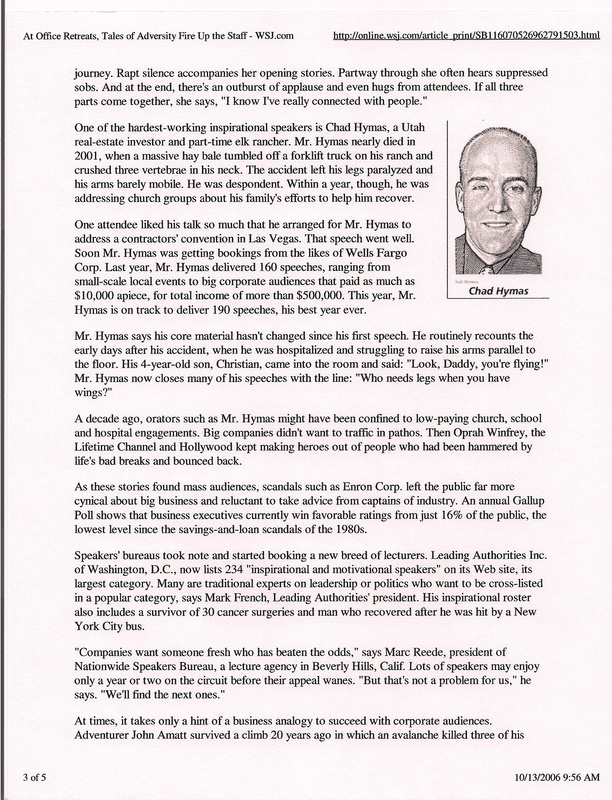 • He served as president of the National Speakers Association Utah chapter. • Chad maintains his hobby and dream of managing a5100-acree elk preserve with his father, Kelly. 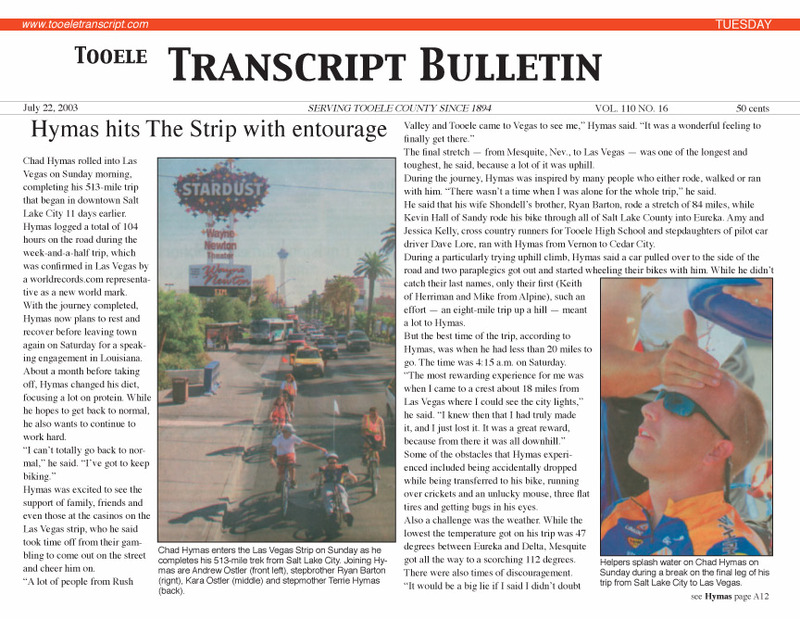 • He has raced in marathons and, in the summer of 2003, set a world record by wheeling his chair from Salt Lake City to Las Vegas (513 miles). Click Here to read more about this record-setting event. 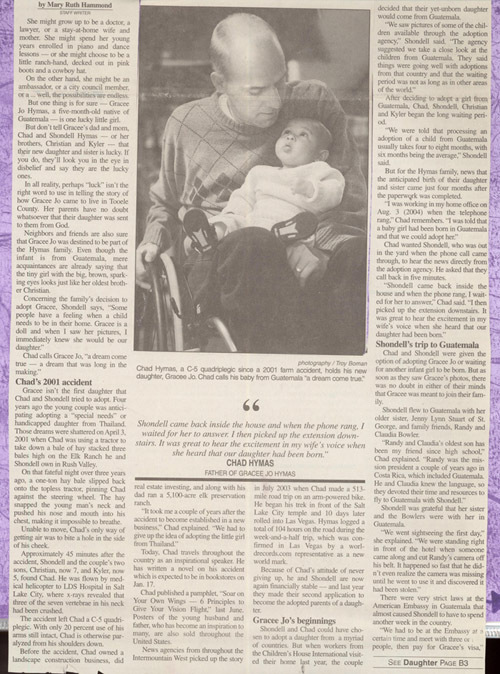 • Chad participates in other wheelchair athletic competitions, including basketball, rugby, and officiating basketball (a dream come true). • He spends many hours with other injured individuals in therapy, encouraging them to overcome their challenges, focus on dreams and make them a reality, and love life for all that it has to offer. To achieve the unachievable and to reach for the unreachable. • Chad’s greatest accomplishment is that he remains a devoted husband to his loving wife, Shondell, and a proud father to their three children, Christian, Kyler, and Gracee! Click here to read more about Gracee.